What Is LayerZero? 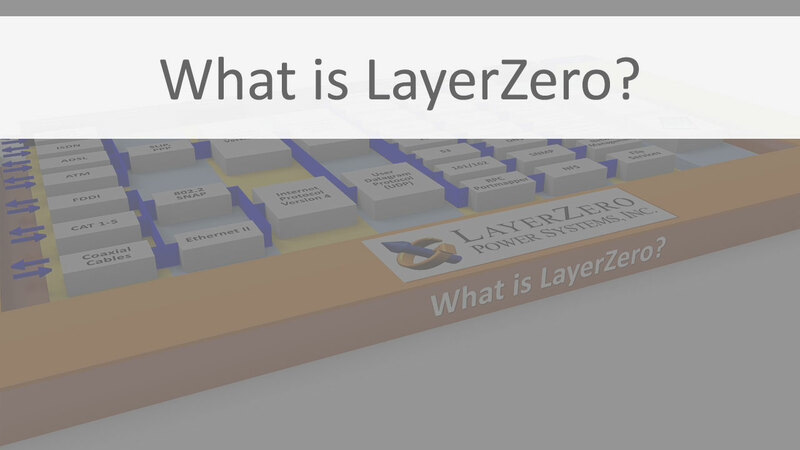 - LayerZero Power Systems, Inc.
Home Corporate What is LayerZero? The rapid convergence of communications and computing at the turn of the century spawned internetworks: clusters of computers across geographies that interact with each other. Internetworks have become the life-blood of modern society. The Open System Interconnection (OSI) reference model conceptualizes the means by which information from an application in one computer travels through a network to an application in another computer in an adjacent internetwork. It is comprised of seven layers (layers 1 through 7), each specifying particular network functions. The model was developed by the International Organization for Standardization (ISO), and it is now considered the primary architectural model for intercomputer communications. 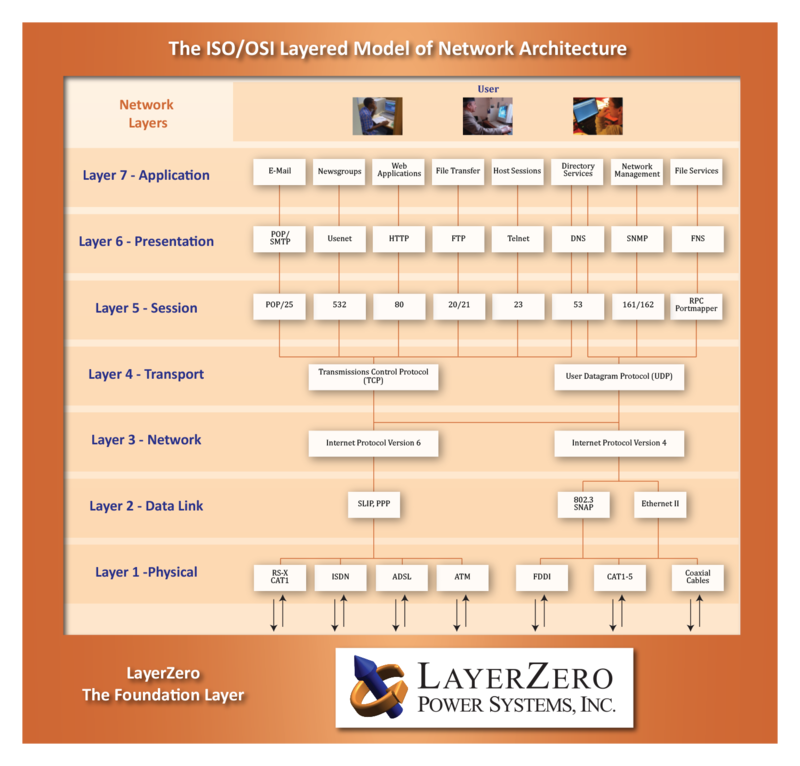 LayerZero Power Systems was founded on the principle that the internetwork needs to be built on a robust foundation layer of power system infrastructure. The so-called “zero-eth" layer of the ISO/OSI reference model needs to be comprised of ultimately reliable, safe, information centric and a highly connected set of power distribution products and processes.